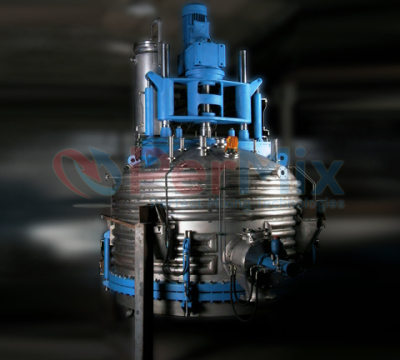 The PerMix PNF series Nutsche Filter Dryer (or Agitated Nutsche Filter, ANF) are specially designed for solid - liquid separation. They are designed based on the principle of the well-known laboratory Buchner Funnel, but usually operating under either vacuum or pressure for many industrial applications. 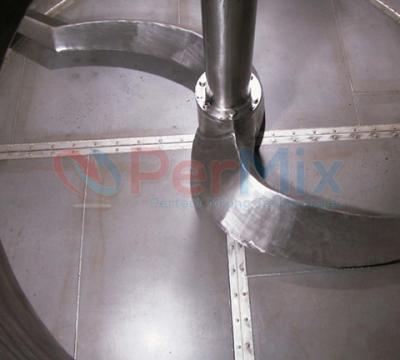 By adding a heating system to the side walls and/or introducing a heated agitator, the PerMix PNF series Agitated Nutsche Filter can be transformed into a highly efficient Filter - Dryer, which can process a concentrated slurry and discharge a dry powder. 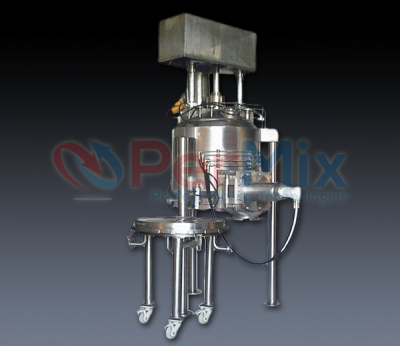 The PerMix PNF series Nutsche Filter Dryer is designed as a versatile several-in-one system to perform a multitude of tasks including reaction, filtration, caking washing, and thermal drying, within a single unit. The range of PerMix PNF series Nutsche Filter Dryer is widely used in industries of fine chemical, pesticides, wastewater treatment, dyes and pharmaceuticals. To meet the demanding requirements for filters used in the manufacture of pharmaceutical ingredients, the PerMix PNF series Nutsche Filter Dryer is designed to meet stringent cGMP and FDA guidelines. We are able to offer our PNF series Nutsche Filter Dryer with contact part to be built in SS304, SS316/316L, Titanium, Duplex stainless steel, Hastelloy, etc. Standard of internal and external finish can be adopted to the customer's needs. A variety of feeding methods can be selected by the customers. PerMix PNF series Nutsche Filter Dryer is designed for side discharge valve by hydraulic operation, with metal to metal sealing, scraper sealing by PTFE / O ring, and Easy clean type. The removable filter base can be connected with either clamps or bayonet locking system and other types. 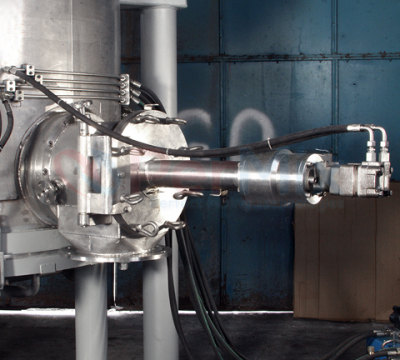 Drive system by geared motor, Ex proof or ATEX standard, or Hydraulic drive system – all are available to fit the special requirements of our customers. 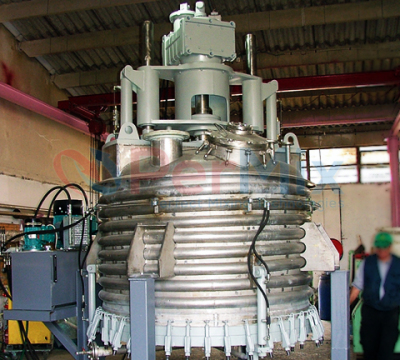 As mentioned above, PNF series Nutsche Filter Dryer can be supplied with all the required features to make the filter into an efficient dryer, including all types of heating systems, vacuum execution up to almost absolute vacuum, heated or non-heated built-in filter with back pressure cleaning, and other special features according to our customer's needs. Liquid usually is added into the Nutsche Filter Dryer by spray nozzles on the top, for better cake washing/CIP cleaning.